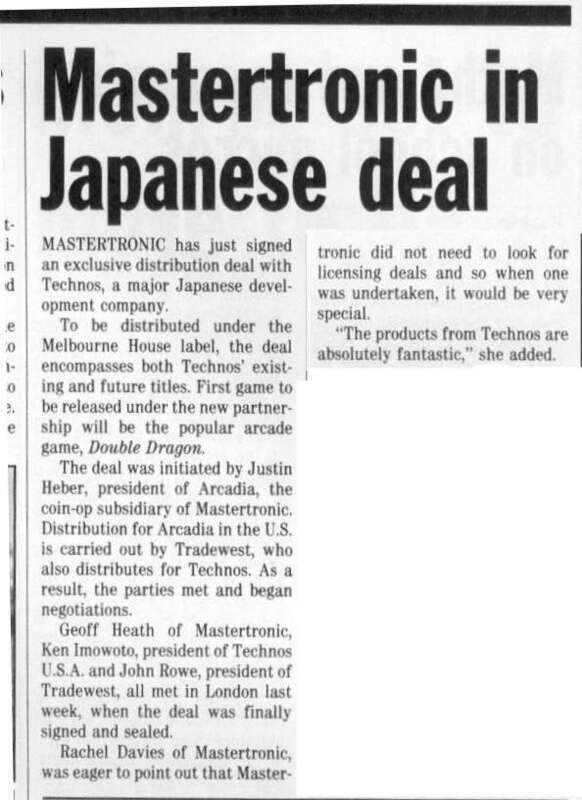 Birth of what was to be a highly successful arcade tie-in. Double Dragon was a smash hit both in full price and budget versions. The story mentions Arcadia. This was our attempt to break into the amusement arcade market using games developed for 16-bit home machines. In contrast to the well-established arcade to home route, going the other way did not work well. Popular Computing Weekly, 31 Dec 1987.